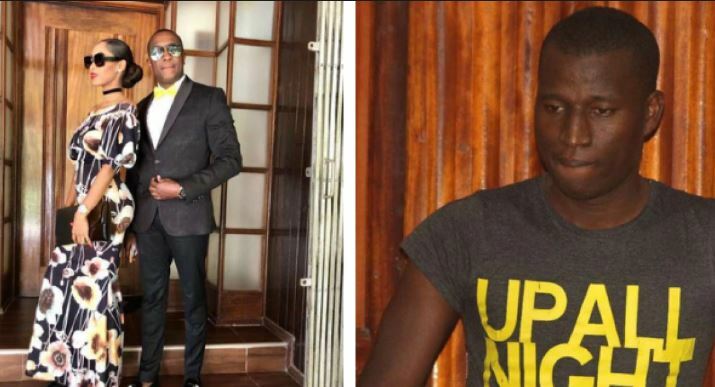 Controversial online mercenary for hire Cyprian Nyakundi has for the umpteenth time been dragged into the corridors of justice for defamation, this time by aspiring politician Steve Mbogo. The former Starehe Parliamentary aspirant has a bone to pick with the rabble-rouser for publishing defamatory articles about his family on his blog. The blogger reported that Steve Mbogo’s wife, Sabrina Jamal, had extramarital affairs which led to Mbogo taking another woman, identified as Haentel Wanjiru on a trip to Europe. But the ODM politician denied the claims and has now lived up to his threat of suing Nyakundi. In his petition, Steve Mbogo wants the court to bar the blogger from writing anything about him. He is also seeking orders compelling Nyakundi to delete the articles he has already published. Mbogo argues that as a result of the said defamatory publication, other bloggers and users of online platforms have shared the story and turned him into a subject of discussion. “The article written by the plaintiff to the utter prejudice of the plaintiff whose reputation has been and continues to be immensely damaged and have been turned into objects of cyber bullying unless the orders herein are granted, at least in the interim to curtail further dissemination of the defamatory articles written by the respondents against the applicants,” reads court papers. Mbogo further argues that there’s no justification for Nyakundi to publish a defamatory article concerning him and his family. The businessman filed the petition together with his wife. The court directed that Nyakundi be served with the suit papers and appear in court for hearing on December 13, 2018.